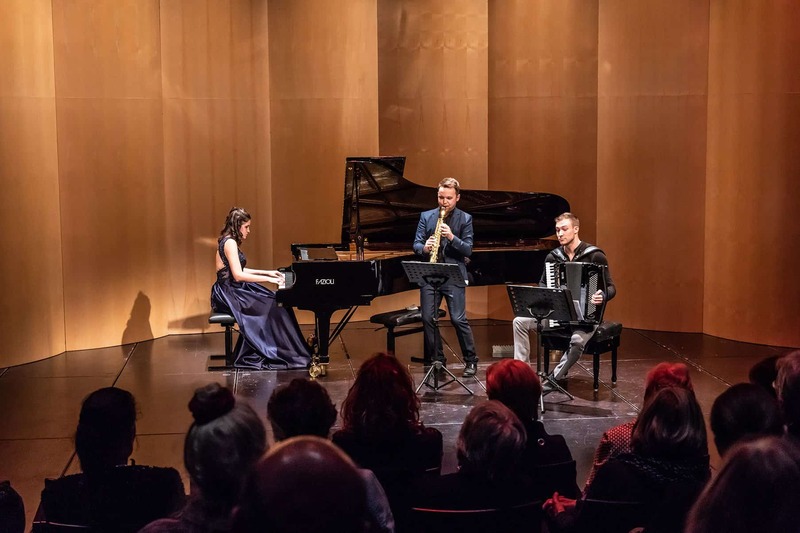 As Grand Prix winners of the Fidelio Wettbewerb, Aliada had a wonderful opportunity to share the stage of the Ligeti Hall in Graz with virtuoso pianist – Dina Ivanova. 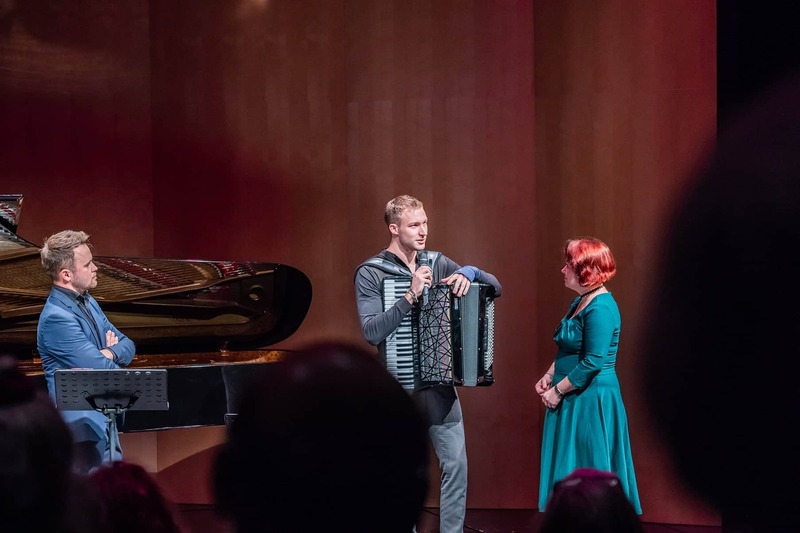 A part of our concert program “East West”, we also performed together with Dina, in an unusual trio consisting of saxophone, accordion and piano. 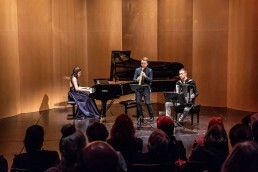 It was great fun to arrange and play Three Preludes by Gershwin and Russian Dance by Stravinsky with her. 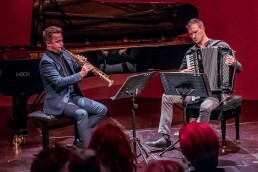 Two concerts with identical program were held on 3rd and 4th of October within the “!Ausgezeichnet!” concert series organised by Kunst Universität Graz.